Fitzwilliam Darcy aka Mr Darcy. Do I really need to say anything else? If you’re answer is yes, then I guess you must keep reading, because honestly, who doesn’t know Mr Darcy? Or Elizabeth Bennett? Or Jane Austen’s name for that matter, one of the greatest writers to ever have lived in the contemporary department, even when the book has no scenes considered to a specific audience or anything like it. 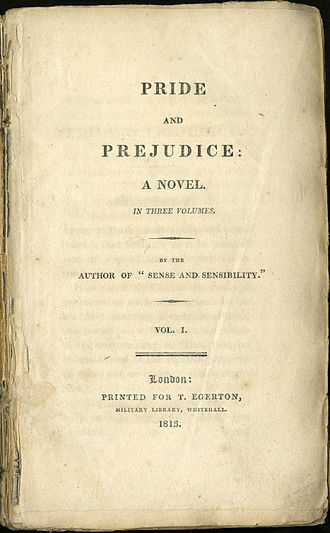 Whatever the book is rated, if anyone wishes to rate it, does not matter when it comes to saying that Pride and Prejudice is an enjoyable, fun, unconventional story, a classic it may be since it has years circling the world, however that does not mean it is not worth to be read, just because Miss Austen was born centuries ago, this is one of those books that transcends time and will continue to be incredible a century from now. I can tell you more about it, and what is really my most personal opinion, as usual? 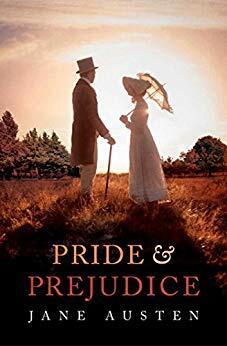 Well no, this really is from the bottom of my heart; here it is: Pride and Prejudice is AMAZING, you may have heard is a master piece, oh and the 2005 movie with Keira Knightly and Matthew Macfadyen? It was great, one of my all-time favorite in that gender. This book has so many adaptations that you might be surprised you have not heard or you do not know more about it, then again that is the case with some people but once you do read or see the movie (which is a really well-made summed up version of the book), you will know and come to love its characters. Now on to this awesome characters I am mentioning here, this is what you will find when opening Austen’s work. Darcy is the kind of character you don’t know, at first, if you should totally hate or wait and see if he’ll do something utterly big and you’ll end up liking him anyways. When you are on the first quarter of the book, you think you know everything that will happen, how predictable the story will end up being. I can tell you now, you’ll most likely be wrong. 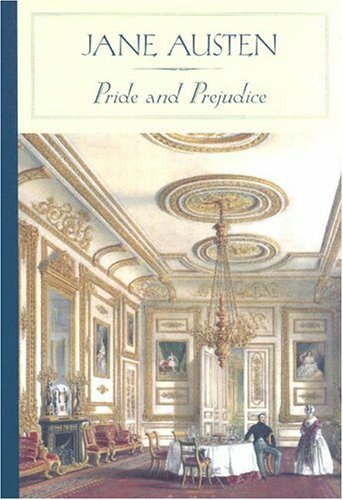 There’s nothing like Pride and Prejudice, Darcy is so unconventional and awesome, you’ll be surprise when you start to like him, wonder when your feelings changed completely. Elizabeth on the other hand, is a wonderful, keen, powerful character from the start, she can be wrong, she can be annoying at times but it is female character who you can relate to and wonder if you will truly not made the same decisions she did, judge in a similar manner. Whoa! I believe, I have never given such a good “review” to a female protagonist, if you know my opinions about females in books, then you must know how that was a shocking revelation, even for me, I’m rambling. So, Elizabeth, was actually mistaken about some events throughout half the book, and when you read for the first time, you might be as well, I didn’t because I’ve seen the movie of course but still, I get how it could have been for those who read the book in the 1800’s. Moving on to the rest of the Bennet Clan. This family deserves its piece here, since every member has an important part on the layout of the book. Jane Bennet, the older sister, kind and full of love for every living creature. Lydia and Kitty, the younger sisters, go around having fun, specially Lydia whom Kitty follows around doing whatever her younger sister wants, their mother tugs alone most of the times, enjoying life once more through their daughters or something remarkably close to that, it doesn’t actually happens like that, for those of you who had read and think I have no idea what I am talking about. Mary Bennet, the middle sister, she is often cast aside by the others, she keeps to herself, tries to play the piano, reads and mostly has no actual importance in the book; that was crude, even for me. But it is the true, I put it as I see it. And Mr Bennet, well, he is a quiet fellow, enjoys reading, adores Elizabeth above all of his other daughters, not more but he does relates and wants what it is best for her, since Elizabeth is the one with the more vibrant and strong spirit. I think that would be all, of course there are other important characters that give the book its charismatic appeal, but I don’t see the point in talking about all of them since Elizabeth and Darcy are the ones that matter, I always do that I know, talk about the characters I like best, but I can’t help it, it is my honest opinion after all, so there it is. I think, you should read the book if you have seen the movie or even if you haven’t. I hope you enjoyed and if you know this classic by heart then let me know in the comments or share with friends. There is so much more to read, so many books and so little time, so I leave it up to you to keep adding books to your list from my personal lists here on the site. Have a nice day, afternoon or night, depending where you are.